It may have been September, it may have been October 1980 but it was definitely on the A429 between Warwick and Wellesbourne where I first heard U2's “I Will Follow”. To these immature ears this was a thrilling tune, an anthem they'd call it these days, that hurtled along at 90 miles an hour, with what was to become the Edge's trademark guitar sound setting the pace. It was a pivotal moment signposting the direction my musical tastes were to go in for a few years to come, flying in the face of the tastes of many a friend and acquaintance, as I became an oft ignored advocate for the group. Between 1980 and 1992, I saw them 14 times in concert, hung around backstage for autographs on innumerable occasions, got to interview Bono for my fanzine Stringent Measures, met him on a couple more occasions, joined the official Island Records approved fan club (membership number U2133), and eventually, fell out of love with the band – no longer were they my band, they now belonged to everyone else. I've not bothered much with their last four or five albums, but I wouldn't shoot them down in flames. True, there's many other folk out there today making vastly more stimulating and challenging music than these four middle aged guys (who are the same age as me, to be fair), but back in the day, they really did matter to me. I had initially planned “doing” U2 in several chapters, dragging out my encounters with the world's biggest band along the lines of “Chapter One – The First Time”, “Chapter Two - My Bono Interview” etcetera, but, the Lord save us from such bragadaccio, I've decided instead to tell all in one fell swoop. 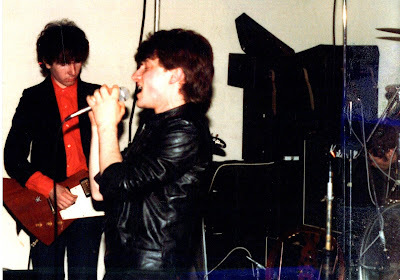 I first saw U2 at the General Wolfe Public House in Coventry on Saturday 6th September 1980. This was before I'd heard and fallen for “I Will Follow”, and was a fairly spontaneous attendance. I guess I'd read about them in either the NME or Sounds, but went along with little in the way of expectation – my regular evening DJ John Peel never ever liked U2, refusing sessions from them on more than one occasion, indeed they didn't record their first Radio One (Richard Skinner) session until a year later, and the BBC rarely played songs that weren't in the charts (the internet of course was still in the future). The General Wolfe is a dominating Victorian building just over a mile north of the city centre on the corner of the Foleshill Road and Station Street West, in an area now, and then, replete with Asian Restaurants, Sweet Shops and General Stores. 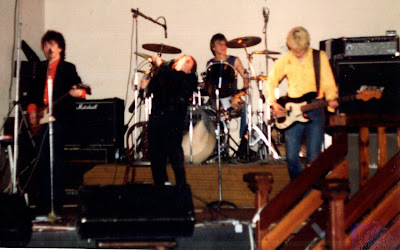 It was not, in 1980, the most salubrious of hostelries, but its back room was a popular venue for developing bands, mostly of the local persuasion, who'd perform, as U2 did this night, to no more than 100 people. Certainly prescient to a degree if somewhat short of being a rave review, but what I really remember now of that evening is that as I'd promised her parents I'd get my girlfriend home at a respectable hour, we had to leave as soon as U2 left the stage after their two encores. The layout of the back room meant you had to go out through a door to the side of the stage, which we duly did, following the band as they too used the same exit. There was no indoor back stage area for the band to hang around and wallow in the applause, just the small car park to the rear of the pub and so we had to pass them as we walked out onto Station Street. A cheery “Goodnight” from us as we went by, got a friendly “Thanks for coming guys” from the nameless and rather sweaty lead singer. 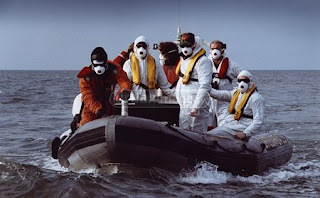 Support for the gig were (unusually) the Hungary vs. England make or break 1982 World Cup Qualifying game which was won 3 - 1 by England kick-starting their eventually successful campaign. and the loveable Altered Images, and I reviewed the show (football included) alongside the interview in the magazine. I managed to get the whole band to sign a copy of Stringent Measures 2 (see above) and later post gig backstage hanging around got me my various scrapbooks (though I tend to publicly mock these “sad” archives, I secretly still treasure them all) signed by all or some of the band (Larry Mullen often choosing to be absent). I tagged along on occasion as the opportunity arose and so it was that, on the understanding she and Nikki could stay over at my house in Coventry, and that I'd provide the transport, Annie wondered whether my girlfriend and I like backstage passes to watch U2 at the NEC? Go on then. Having persuaded her to record a pretty cool answerphone message for me, we set off for Birmingham, parking the car right outside the back of the hall at the NEC (no half mile walk from the car park tonight) and there we were, watching a show on a tour that is seen as genuinely ground-breaking, from the official photographer's pit. Meandering post gig through a maze of subterranean corridors beneath the stage lead us to the backstage area and the aftershow gathering, where Bono took pity on my girlfriend, cradling her broken hand whilst we reminisced (really, we did) about our previous meetings, which he admirably claimed to remember, not least that first encounter some 12 years earlier in Coventry, a gig he recalled particularly for an Indian meal he'd had before the show in a restaurant round the corner from the venue.